Unwind in this sweet boutique retreat with all the elements of a real get-away-from-it-all escape. Each accommodation is air conditioned, has a private veranda and an oversized bathroom with a rain shower. Every bed has duvets and fluffy pillows for a great night’s sleep. Begin each morning with freshly brewed coffee and a complimentary, freshly cooked Homestyle breakfast (available 7-11 a.m.). Butler service is provided for hiring a car or taxi services, booking tours and excursions, providing private transfers from/to Chiang Mai International Airport, and other needs. 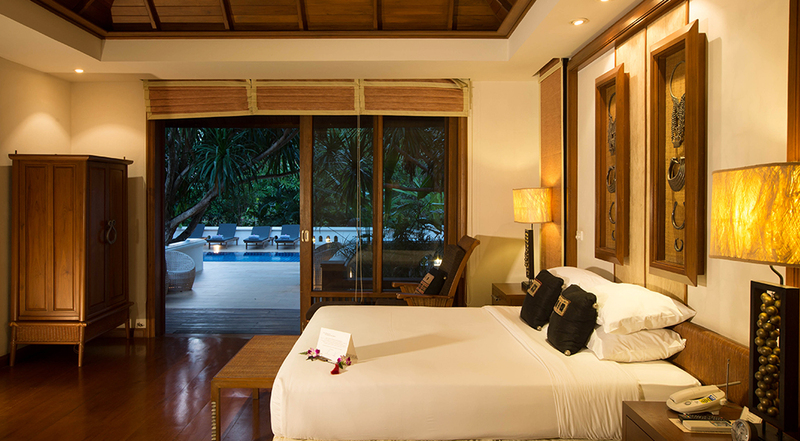 This well-appointed and spacious accommodation offers a mesmerizing view of a lush tropical garden from its private veranda. 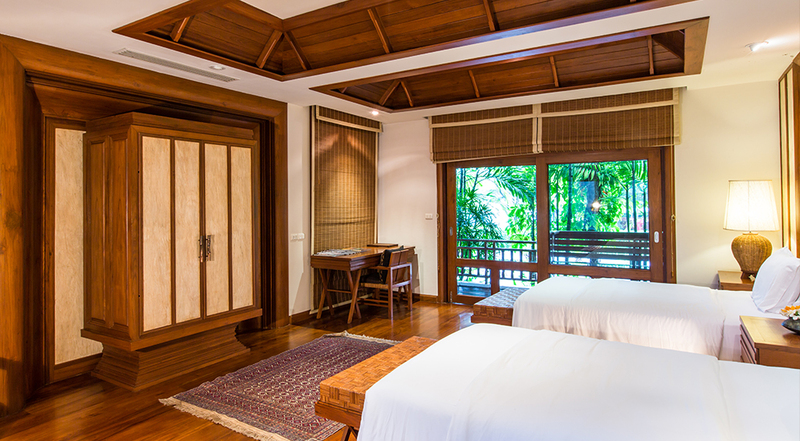 The richly appointed Corner Suite is available with either two twin beds or a king-size bed. The décor blends traditional Lanna Thai elegance with tribal arts and crafts of the local Mountain People. Escape to a blissful haven designed for privacy and styled to inspire romance. Luxury Suites are perfect for ‘special occasion’ travelers or anyone who enjoys a luxurious stay. Delight in the tropical garden view while experiencing this spacious one-bedroom suite which includes living area, study area, large walk-in closet and oversized bathroom. 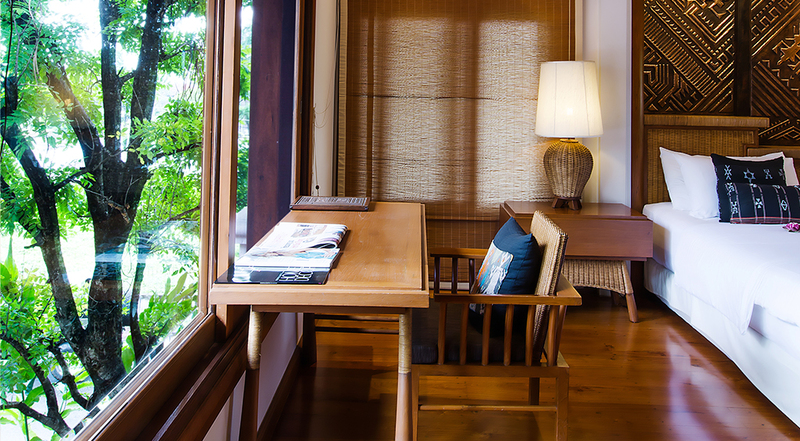 Like a tropical garden hideaway, this suite offers a restful view of the garden and courtyard. It includes a spacious bedroom, magnificent bathroom with Jacuzzi and rain shower. 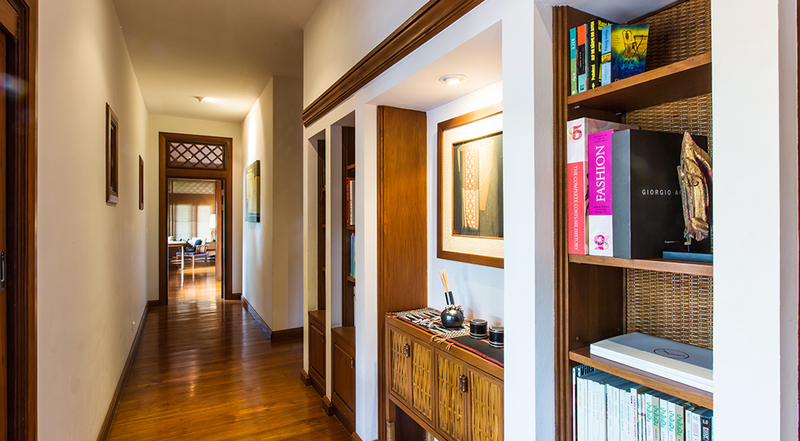 This spacious 3-bedroom vacation mansion has been the choice of numerous ambassadors and diplomats when visiting Chiang Mai. @2007-2012 Oasis Baan Saen doi All Rights Reserved.Web Hosting and Design by Tap Technology,Thailand.